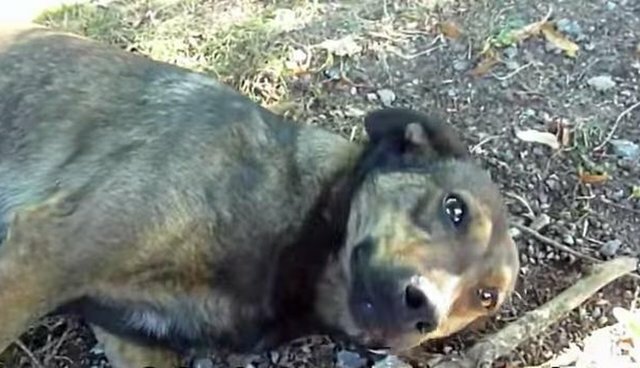 Fate must have had a hand in Maya's rescue - staff from Howl of a Dog, a rescue group in Romania, were on their way from dropping off a newly-adopted dog at her forever home when they saw Maya lying in a parking area by the side of a country highway. 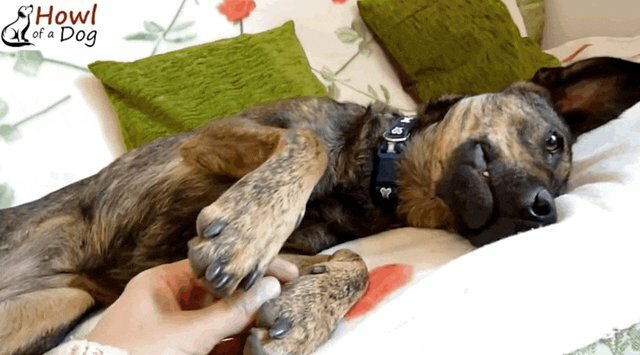 As soon as they approached Maya they realized she was a sweetie at heart - she immediately rolled over and offered the rescuers kisses. Maya was probably hanging out in a parking area in hopes that passing cars would give her some food scraps and a belly rub. She had probably given up hope that any of the people who stopped would give her a real home. 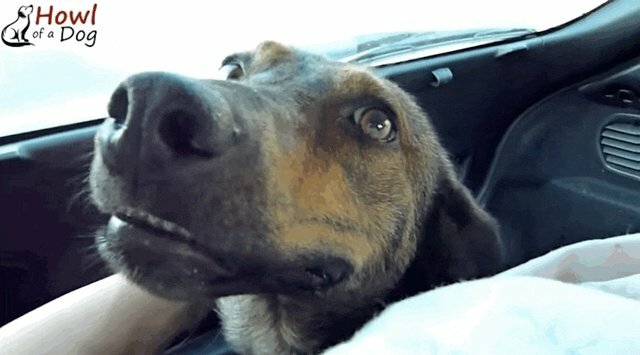 Imagine how excited Maya must have been when the rescuers picked her up and put her in their car - she had no idea where she was going, but she could probably sense that everything was about to change. Maya was all smiles during the ride, thrilled to finally be in the care of people who wanted to help her. 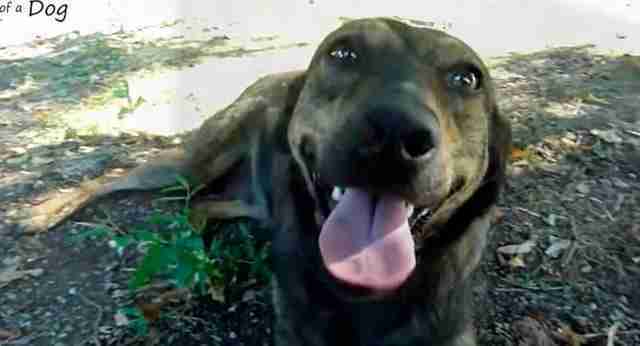 As soon as they got her back to the shelter, Maya's rescuers realized that she had never been a pet before. Even though she was ecstatic to be safe and surrounded by people and other dogs, she had no idea how to do normal pet things like play with toys. But one thing Maya does know how to do is snuggle. She's a pro at it. Maya is now up for adoption through Howl of A Dog. If she's this happy to be around people for the first time, just imagine how overjoyed she'll be once she finally gets a family all to herself. For more information about Maya visit the Howl of A Dog Facebook page. If you're ready to adopt a rescue pet like her, visit your local shelter or search for adoptable dog on Adopt-a-Pet.com.